George Matthew Foster, motor mechanic, Gallipoli veteran, land agent, temperance hotel director and Baptist, was born in Adelaide on 29 January 1884, the son of George Foster, a tailor’s cutter, and hiswife Isabella, née Forscutt. George, who was probably educated in Hobart, left school to become a motor mechanic and served in World War I as a sergeant in the 3rd Light Horse Regiment. He arrived in Egypt in late 1914, spent three months at Gallipoli, then in Egypt, finally being ‘laid aside by sickness’. On his return from the war, Foster became active in the politics of Australia’s war involvement. In 1917, he was state secretary of the newly formed Tasmanian Returned Sailors and Soldiers Imperial League of Australia (RSSILA). He also served as the first secretary of the Tasmanian branch of the Reinforcements Referendum Council, formed to support the 1917 referendum on conscription. The Council’s Tasmanian executive included the Premier, W. H. Lee, as well as John Earle and Edward Mulcahy. Foster was elected to the House of Assembly in a by-election for Denison in June 1917. Standing as a Nationalist, his campaign was supported by the RSSILA (known briefly from its inception as the Returned Soldiers and Patriots Political League), which was keen to support local political candidates. The League’s platform included direct parliamentary representation of Australian soldiers. Since its members had made more sacrifices than any other section of the community, the League believed that returned soldiers had a moral right to a share in governing the country, free of ‘party political’ beliefs. Foster felt a ‘great responsibility’ and ‘sacred trust’ had been bequeathed to him by those ‘whose bones lay in foreign lands, to see to it that their wives and children were properly provided for’. He argued that governments had a responsibility to facilitate the restoration of discharged men to the civil community, especially through technical training, land settlement on ‘immediately productive’ farms, and preferential employment in the public service. Foster’s career in state politics, however, was brief. In the lead-up to the 1919 House of Assembly election, the World reported on a campaign meeting in Hobart and the denial by the president of the RSSILA and by Foster himself that Foster’s campaign was in any sense linked to the RSSILA. 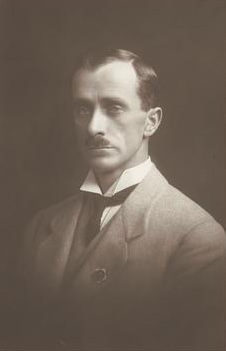 The paper commented that ‘it is difficult to draw a distinction’ between Lieutenant George Foster as state secretary of the RSSILA, and Lieutenant George Foster, the Nationalist candidate for Denison. Foster subsequently lost hisseat due to his position having been weakened by pressure groups in the electorate causing some disruption and weakening the Nationalist vote. Undeterred, he stood at the federal election in December as a Nationalist Party candidate for the Senate. Elected as a ‘Digger Senator’ for Tasmania in 1919, Foster honed his skill in debate by discussing his favourite topics, notably the repatriation of returned soldiers, especially in relation to employment, housing and pensions. In November 1921, he said that he found the Government’s attitude towards defence estimates ‘absolutely inexplicable’. To postpone defence expenditure because of financial expediency ‘would be all right if we could choose the time for war’. Speaking on the Air Defence Bill, he supported Labor’s Senator Gardiner in urging the manufacture of aeroplane engines in Australia. Foster’s contributions to debate on the customs tariff, the public service, public works and land speculation were often oriented to the interests of returned soldiers. He was a frequent speaker during 1920 and 1921, but thereafter attended the Senate irregularly, gave no speeches and failed to participate in the deliberations of the one select committee of which he was a member. His increasing absence during 1921 until his resignation from the Senate on 30 June 1925 (four months before the 1925 election) made him something of a standing joke. The Bulletin wryly observed that as a politician ‘his name was a synonym for lethargy … and post-war inertia … in a chronic form’, and claimed that he ‘grew to hate the job’. Senators made bets that Foster would overstay his leave ‘and suffer the ignominy of having his seat declared vacant’. For much of 1923 until after his resignation from the Senate on 2 July 1925, Foster’s whereabouts were unknown. A Melbourne legal firm tried to contact him in March 1923 on an unspecified matter, and in October 1923, the Permanent Trustee sought contact with him concerning his mother-in-law’s estate. The Daily Standard reported that in April 1924, Foster had attended the Senate chamber ‘for a few minutes on the afternoon of his arrival by express from Sydney, and left on the return journey the same day’. In 1925, in response to an inquiry from the federal Taxation Office, the acting Clerk of the Senate could only reply that Foster’s address was Parliament House, Melbourne, and that he was believed to be in Brisbane. In the period following his formal departure from the Senate, Foster was reportedly observed employed at the Melbourne Zoo. It seems he also worked for a time at a Sydney land agency. Later he became a key administrator for Sydney’s evangelist, social reformer and temperance leader, Robert Brodribb Hammond. Influenced by Hammond’s zeal and oratory, Foster found a new mission and in the process reportedly ‘regained all the energy of youth’. He became superintendent of the Hammond Hotel, built in a converted warehouse in 1908 to rehabilitate destitute men. For two years he was general superintendent and secretary of the Hammondville Homes Trust, a ‘back to the land’ movement which Hammond established in 1933. Foster was also a director of a ten-storey temperance hotel which Hammond sought to build in Hunter Street, Sydney, and according to one source, delivered ‘hot-gospel’ Christian instruction in New South Wales state schools. Foster’s first marriage was childless. On 27 April 1922, at Christ Church, St Kilda, he married Vera Anita, daughter of George Pietriche, a Melbourne dentist. His last address was Woollahra in Sydney. Foster died in Sydney’s Concord Repatriation Hospital on 6 June 1956. His second wife and daughter June survived him. Mercury (Hobart), 13 June 1917, p. 6; Lloyd Robson, A History of Tasmania: Volume II, Colony and State from 1856 to the 1980s, OUP, Melbourne, 1991, pp. 331, 407; G. L. Kristianson, The Politics of Patriotism, ANU Press, Canberra, 1966, p. 239. Marilyn Lake, A Divided Society: Tasmania During World War I, MUP, Carlton, Vic., 1975, pp. 95, 100–103, 181; Mercury (Hobart), 25 May 1917, p. 3, 5 June 1917, p. 3, 13 June 1917, p. 6; CPD, 12 July 1912, p. 111; Kristianson, The Politics of Patriotism, p. 231; World (Hobart), 28 May 1919, p. 7; Lake, A Divided Society, p. 182. Bulletin (Sydney), 18 September 1935, p. 14; CPD, 21 April 1921, p. 7573, 29 April 1921, 7903, 5 May 1921, pp. 8082–8083, 8094–8095, 11 May 1921, p. 8248, 12 May 1921, pp. 8361–8362, 8364, 29 July 1920, pp. 3074–3075, 13 October 1921, p. 11922, 29 June 1921, pp. 9456–9457, 30 November 1921, p. 13360, 29 June 1921, pp. 9458–9459, 13 October 1921, pp. 11933–11934, 24 November 1921, p. 13195, 22 April 1921, p. 7673, 9 December 1921, pp. 14194–14195, 28 July 1920, pp. 3014–3015, 12 August 1920, p. 3462, 30 July 1920, p. 3138, 12 May 1921, pp. 8386, 8388, 30 July 1920, p. 3138, 8 December 1921, pp. 14075–14076, 10 November 1921, pp. 12578–12579. CPP, Report of the select committee on the claims of Captain J. Strasburg for a war gratuity, 1922; Bulletin (Sydney), 18 September 1935, p. 14. Mercury (Hobart), 30 July 1921, pp. 7–8, 2 August 1921, p. 5, 3 August 1921, p. 4, 4 August 1921, p. 5. Senate Registry file A8161, S.97, NAA; Letter, 17 October 1923, Permanent Trustee Company of NSW Ltd.; Australasian (Melbourne), 25 October 1924, p. 985; Daily Standard (Brisbane), 21 October 1924, p. 5. Personal communication to the author from Michael Roe; Joan Mansfield, ‘Hammond, Robert Brodribb Stewart’, ADB, vol. 9; Bulletin (Sydney), 18 September 1935, p. 14; George M. Dash (comp. ), Hammondville 1932–1937, Sydney, 1938; SMH, 8 June 1956, p. 18. This biography was first published in The Biographical Dictionary of the Australian Senate, vol. 1, 1901-1929, Melbourne University Press, Carlton South, Vic., 2000, pp. 263-266.